Father’s day is just around the corner, and if there is anything that dad’s love, it’s gadgets. if a gadget is on the list of gifts you are planning to buy your father for this special day, why not opt for one that will help to save him money when he uses it? While all these suggestions might not pay for the item itself, as a gift they have the potential to save your father some money when he begins using it. The Boxee Box is a great gift that combines internet services with your cable services so you have everything right at your fingertips. All you need is a TV with a HDMI input, internet connection, a Boxee Box, and you’re good to go! This device allows you to stream movies and music from your internet services directly to your TV. The best part about this device is that is attempts to get you any television show or movie you want to watch for free, and if it can’t, it provides you with the best low-cost options. 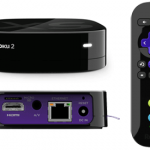 The Roku 2 XS is another video streaming device that provides optimal entertainment options while also saving money that would otherwise be spent on cable. For about $100, the Roku 2 XS offers over 500 streaming channels of live movies, television shows, and sports. This is a good alternative to paying a cable bill every month and is guaranteed to give you more for your money than you local cable company. Does your father love to grill? Maybe he can’t wait until nice weather rolls around so he can fire up the grill for the spring and summer. 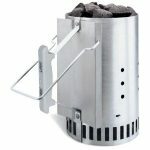 If he enjoys grilling and doesn’t own a gas grill, consider buying him the Weber 7416 Rapidfire Chimney Starter which is a $15 quick charcoal burning device. One of the pitfalls of grilling is waiting for the charcoal to burn on a non-gas grill. This device promises to burn your charcoal in mere minutes while also using a limited amount of charcoal, alleviating the time spent waiting for the charcoal to burn as well as the need for lighter fluid or massive amounts of charcoal. Is your dad the type who likes camping or hiking? Does he spend all his time outdoors fishing or hunting? 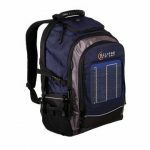 If so, the Eclipse Solar Gear Backpack is a great gift for him as it is fitted with a 4 watt solar panel and rechargeable battery. This allows him to take all his other tech gadgets with him without worrying about having to find a place to recharge the batteries. This backpack is definitely a smart investment for anyone who enjoys spending copious amounts of time in the great outdoors. One of the worst things about mowing the lawn is not only the amount of time it can take up, but how much money fuel sometimes costs. In a time when gas and fuel prices are always on the rise, the last thing you want to have to pay for is fuel for the lawn mower. 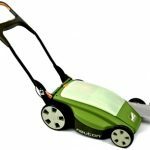 However, the Neutron Battery Powered Lawn Mower, as the name suggests, runs on a battery and can help you avoid the problem of spending money on fuel. This is a great money-saving gift – and perhaps when you give it to your dad, you can throw in an offer or two to mow the yard free of charge or complaint! 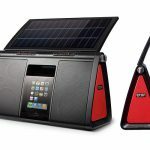 The Eton Soulra XL is a solar-powered iPod or iPad system that allows you to dock your device and recharge it. While this device has eight speakers to deliver high quality sound, it also has a built-in lithium-ion rechargeable battery that, since it is solar-powered, will cut down on the electricity costs associated with recharging all your gadgets and devices. This is a great portable rechargeable device to buy for anyone. Do you want to receive free telephone service? 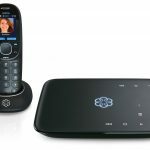 Well, Ooma is a device that allows you to send and receive free calls within the United States. 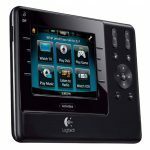 It works with any type of phone, is easy to set up, and has the same functions that most phones have such as caller id or call waiting. Best of all, this one time price will end up saving you loads of money on your phone bill. Does your father complain that there are way too many remotes for all the electronics in his house? After all, who needs separate remotes for the stereo, TV, DVR, Bluray player, or surround sound? This device will save you the money you spend on remotes for other devices (and the batteries that go into them) as the Logitech Harmony Universal Remote is designed to work on all your electronic devices. It’s nice, simple, and easy to use – a perfect gift! This unique device allows you to carry around a portable smartphone or tablet recharging device. The Mophie is small and compactable and allows you to plug any device into its USB drive to recharge. 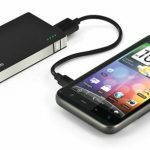 Almost everyone has experienced their phone, tablet, or computer running low on battery while they’re out and about, but the Mophie allows for easy and portable recharging of your devices. The PowerMonkey Extreme Charger is a weather resistant solar charger that has enough power to charge an iPhone to six times its normal capacity. 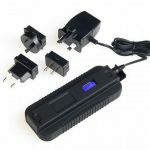 Best of all, this device can charge a very wide variety of phones, tablets, computers, or GPS systems so it’s much more versatile than other chargers on the market. Thanks for sharing this post. There’s some great gifts that any Father would appreciate for Father’s Day. I don’t understand why you list Ooma. It is not as good as it seems. Instead why not one of the OBi products to be used with google voice? I have been using OBi100 with google voice for 6 months now with hardly any hiccups, except for the device once which was replaced by OBi. But everything for free. I saved $180 over my regular cable bundle bill. Ooma trumps to be free but it is not. If you really want their all services, you pay about $10/month + taxes. Otherwise the services offered are just same as google voice.